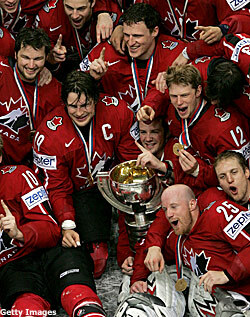 In 2007, Team Canada won the 34th World Junior Championships tournament, held in Mora, Sweden. For those in the know, the World Junior Championships – a two-week tournament featuring the best under-20 talent in the world – is the best-kept hockey secret out there. The tournament, which runs this year from Dec. 26 to Jan. 5, is heaven on earth for hard-core hockey aficionados – a gift from the benevolent hockey gods that is to be reverentially savored. The World Juniors, these zealots say, is hockey nirvana. The scary thing, though, is this is more than just overzealous preaching by the always vocal hockey missionary community. The hockey – and the surrounding atmosphere – is that good! Doug Risebrough, the general manager of the Minnesota Wild, has won Stanley Cups as a player with the great Montreal Canadiens teams of the 1970s. He played under legendary coach Scotty Bowman, and shared the ice with Hall of Famers like Guy Lafleur and Larry Robinson. He is no stranger to great hockey. He attended his first World Junior Championship in 1995, and walked away knowing he had found something truly special. “The first time being there and hearing about it, you knew it was a good tournament and you heard about how competitive it was,” Risebrough said. “But I couldn’t believe the level of the competition and the intensity of the games. It will be no different when the 35th annual World Junior Championships get underway in the Czech Republic cities of Pardubice and Liberec. The 10-team field will bring undeniable passion and skill to the event as they battle for the gold medal. Throughout the tournament, general managers, pro scouts and die-hard hockey fans from around the globe will have their eyes riveted to the exploits of 200 of the best teenage players in the sport as they lay it all on the line for their respective countries. The World Junior Championships were not always this way. The tournament started small before capturing the imagination of players and fans alike. At its inception in 1974, it did not even include the best teams for the countries involved. The tradition and honor of playing in the World Juniors developed through time, changing the way many thought about the international game. For young hockey players growing up throughout Europe, their country’s senior national teams always were the dream, the goal to which they all aspired. Playing for one’s country not only was an honor, but it was the best hockey available to them. The national team was the NHL for many Europeans. Gold medals were their Stanley Cup substitute. Soon, though, these players understood that a place on the junior team could expedite their ascension to the senior team. For that reason, Jarmo Kekalainen, now an assistant GM and director of amateur scouting with the St. Louis Blues, was honored to be named to the Finnish team that competed in the 1986 World Junior Championships. He said it was an honor greater than any he could have imagined for himself, an honor even greater than an NHL roster spot – at least at that point in his career. “When I played on that team,” Kekalainen said, “the national team was more a realistic goal. It was closer; we knew a lot more about it that the NHL. And at that time, there was no Internet or stuff in the media, not like guys today who know everything about the League. 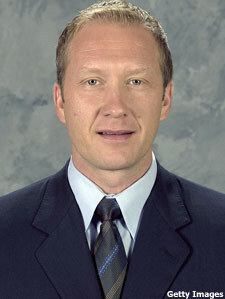 played for Team Finland in the 1986 WJC. For young hockey players growing up in North America – be it Moose Jaw, Sask., or Livonia, Mich. – the dream always was the NHL, and, for a select few, the Stanley Cup. In the early beginnings of the WJC, it was just another tournament in the hockey landscape for these NHL hopefuls. In Canada today, the WJC is one of the most celebrated events on the hockey schedule; even the Olympics would be hard-pressed to challenge its popularity. It is celebrated not only as a hockey event, but also a cultural phenomenon. Friends and families gather around the television each Boxing Day to watch “their boys” go for gold in a holiday ritual that grows stronger every year. Risebrough offers an explanation as to why the World Junior dynamic has changed in recent years. “I think there’s been a bit of an evolution there, particularly for the North American teams, and, more specifically, for Canada,” he said. “For the Canadian populous, at one point it was just one of those tournaments that we had to go to, and then it became a focus for the country – that this is an important tournament and a great tournament to watch. Players play for their country and it meant something to them. Slowly but surely, the tournament has gained momentum. In less than a decade, the WJC has transformed itself from an also-ran event to the must-see hockey celebration of the winter. Kekalainen has seen the change up close in his role with the Blues. The United States might one day provide a challenge to Canada. With the Canadian/U.S. rivalry at its pinnacle, the American team icing a consistent gold-medal contender, and, for the first time, the entire medal-portion of the tournament airing on the NHL Network in the United States, the soil never has been so fertile to sow the World Junior seed in the States. In fact, Risebrough believes the gold-medal performance by the Americans in 2004 is one of the gutsiest performances in WJC history. A great team for the Canadians is an understatement. The United States’ roster, including All-Tournament goaltender Montoya and All-Tournament forward and MVP Zach Parise, was a determined underdog against the powerhouse Canadian squad. Future NHL stars Sidney Crosby, Marc-Andre Fleury, Jeff Carter, Mike Richards and Dion Phaneuf were only five of 13 NHL Entry Draft first-round draft picks on Team Canada. Every player on the Canadian team was drafted, save Josh Gorges, though Gorges has managed to play 116 NHL games. So the Canadians took silver, adding to the mystique of a tournament that includes one-game playoff eliminations, sudden-death overtime, shootouts and more elation and heartbreak than the average fan can take. Almost. This tournament is not for the faint of heart. It’s an event, a production, a tournament on a grand scale, one where the stakes never have been higher. Today, the WJC is serious business, a departure from its humble beginning three decades ago. of the 2004 tournament as a member of Team USA. Philadelphia Flyers winger Simon Gagne understands just how big the WJC has become, not only for the players and coaches but the broadcasters, camera crews and, especially, the fans. He recalls his experience at the World Juniors as nothing short of magnificent. “I think it was maybe the best moment in my career before playing in the NHL,” he said. Gagne competed in 1999, playing in Winnipeg for a Team Canada squad expected to take home the country’s eighth gold medal in 10 years. However, Canada was defeated in overtime, 3-2, by Team Russia, which featured Maxim Afinogenov. The game garnered the largest audience in TSN history to that point. Gagne’s tournament was special not only for the silver medal he still proudly displays, however. 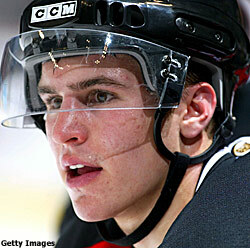 “I can remember against Kazakhstan, I had four goals in one game, tied Mario Lemieux’s record. My stick went to the Hall of Fame after that. That’s a game I’ll always remember,” he said. Gagne will remember it, as will millions of fans from Moose Jaw to Milan, Moscow to Montana. The WJC never has been this big, its players never bigger stars. Performances at this tournament go down in history. There was the gutsy performance by an under-sized, under-rated goaltender named Manny Legace in 1998, in a 3-2 win over Team Finland, 3-2, despite being out-shot in the game by a 60-36 margin. Team Canada was out-shot in that game 26-16 in the first period, yet held a 2-0 lead. There was the coming-out party of some of the Soviet Union’s brightest stars. Fans were treated to something special in 1989, as the line of Pavel Bure, Alexander Mogilny and Sergei Fedorov blinded opponents with exhibitions of offensive majesty – forming perhaps the fastest and most dominant line ever to skate together at a WJC. There was Markus Naslund setting a goal-scoring record the same year as Peter Forsberg set an assists and points record for Team Sweden; Olli Jokinen leading his Finnish teammates to a gold medal before the home fans in Helsinki, then leading 14,000 screaming Finns in the singing of their national anthem. Legends like Wayne Gretzky, Mike Modano, Mario Lemieux, Bill Guerin, Jaromir Jagr and Nikolai Khabibulin, and newer stars like Crosby, Parise, Alexander Ovechkin and Evgeni Malkin have come to attention at the WJC. The World Junior Championships are where the stars of tomorrow find the world stage for the first time in their young careers. The moments, the skaters, the teams and the rivalries that make this the greatest tournament in the world will be under the bright lights starting Dec. 26. Those players lucky enough to be a part of this year's event will be in hockey heaven in the Czech Republic. Will you join them?